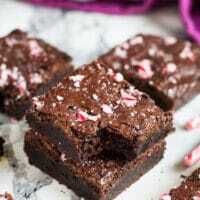 Peppermint Mocha Brownies – Deliciously thick and fudgy rich chocolate brownies infused with peppermint and coffee, and studded with crushed candy canes! 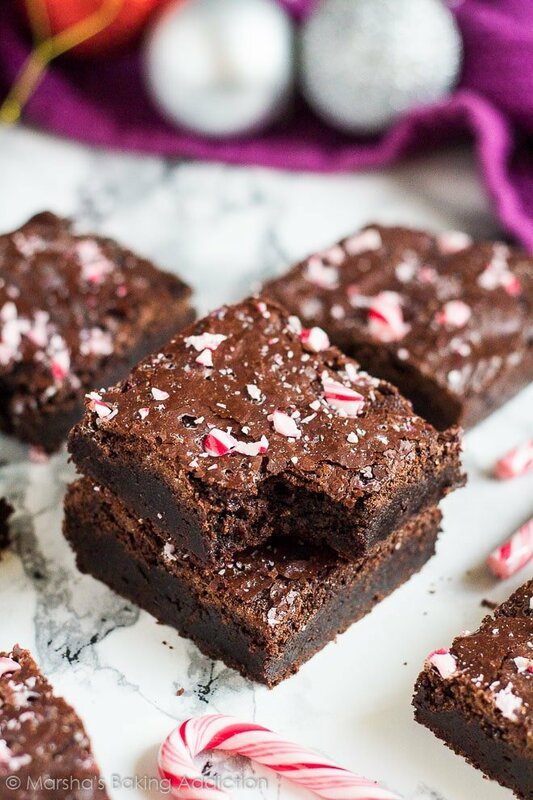 Peppermint and chocolate. A combination of flavours that just can’t be beat, in my opinion. You won’t see me turn down a minty chocolate dessert, snack or drink. These brownies are a quick and simple one-bowl recipe, that doesn’t require you to get your mixer out. Simply melt the butter in the microwave with the sugar, cocoa powder, coffee, and salt, stir together, then mix in the eggs one at a time. 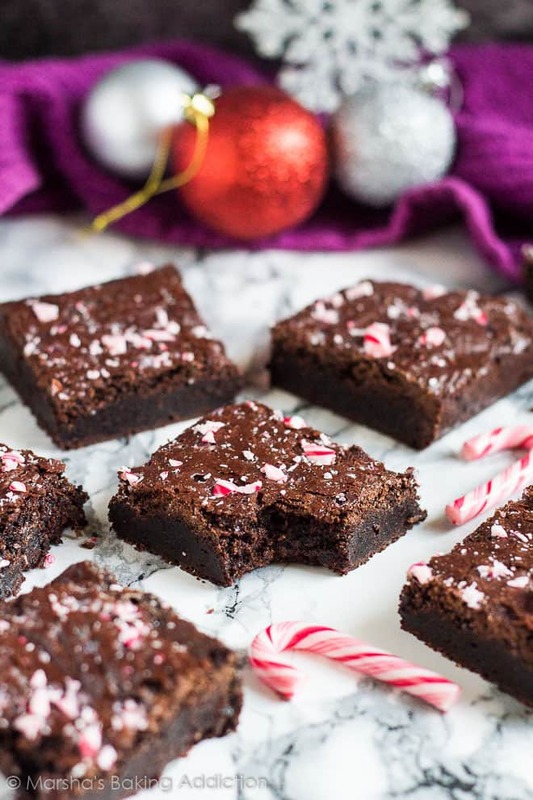 Fold in the flour and chocolate chips, then stir in the peppermint extract. Pour into an 8×8-inch square baking pan, and bake for 30 – 35 minutes. 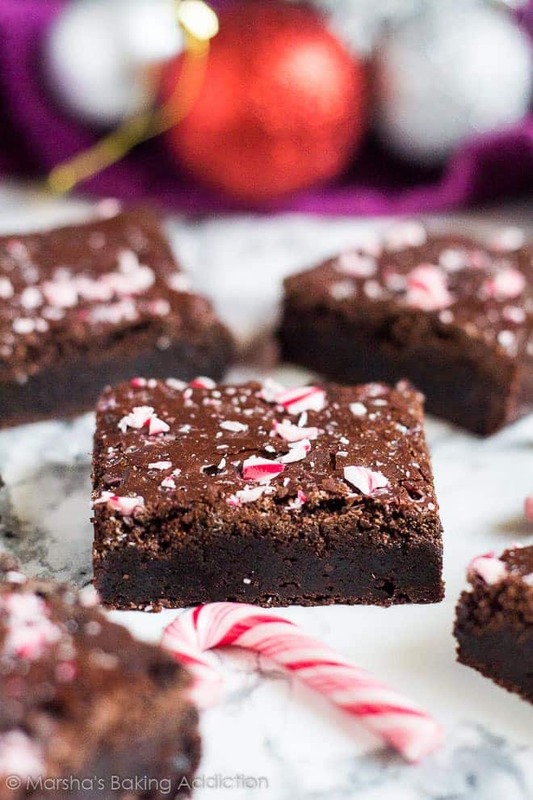 Sprinkle with crushed candy cane and allow to cool completely before slicing. Done! 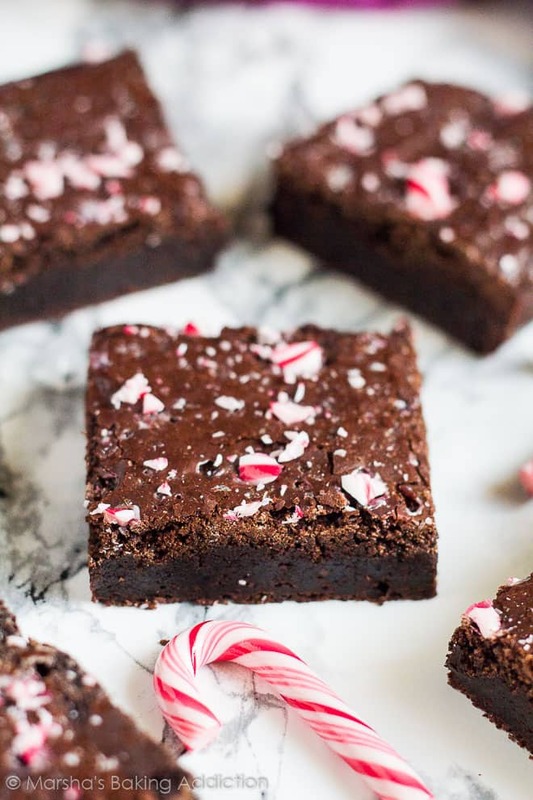 These brownies are incredibly thick and fudgy, and bursting with chocolate and peppermint flavour with a hint of coffee. You have GOT to try them this Christmas! 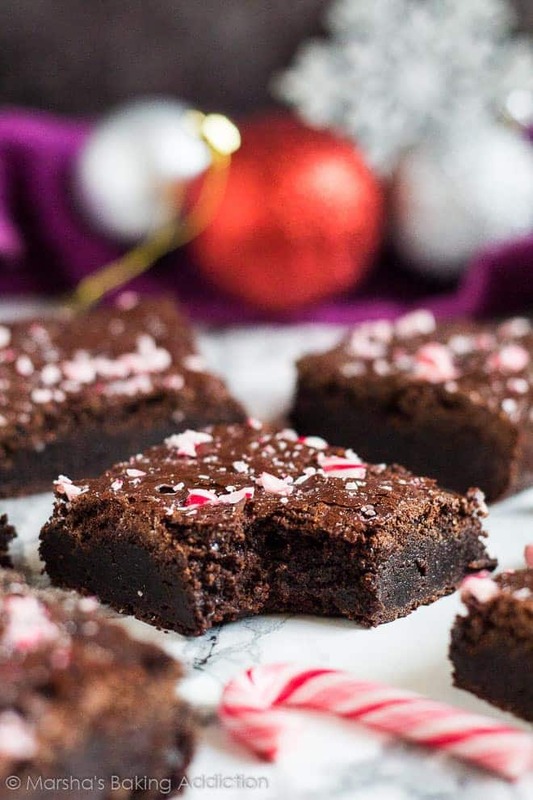 More brownie recipes to try next! 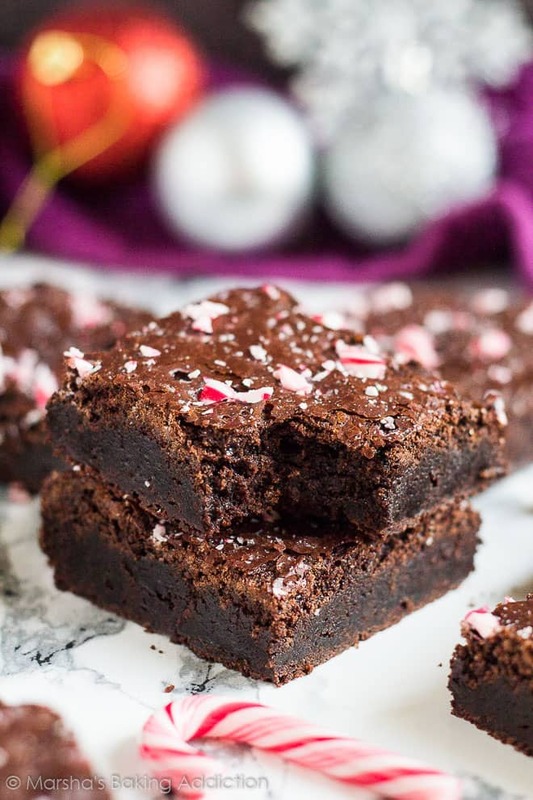 Deliciously thick and fudgy rich chocolate brownies infused with peppermint and coffee, and studded with crushed candy canes! Preheat the oven to 170C/325F/Gas 3. Spray an 8x8-inch square baking pan with baking spray and line with parchment paper. Set aside. Place the butter, sugar, cocoa powder, instant coffee granules, and salt into a microwave-safe bowl, and microwave in 30 second intervals, stirring after each one, until the butter is melted and the mixture feels very warm to the touch. Mix in the eggs, one at a time. Fold in the flour until fully combined, stirring until thick and shiny. Fold in the chocolate chips (they will melt into the batter, but it's fine! It helps produce a shiny top). Stir in the peppermint extract. Pour the batter into the prepared pan, and spread out evenly. Bake for 30 -35 minutes, or until a toothpick inserted into the centre comes out almost clean with a few moist crumbs. Sprinkle with crushed candy canes and allow to cool completely in the pan on a wire rack before cutting into squares. Brownies stay fresh, stored in an airtight container, in the fridge for up to 1 week. They also freeze well for up to 3 months. Thaw overnight in the fridge before serving. 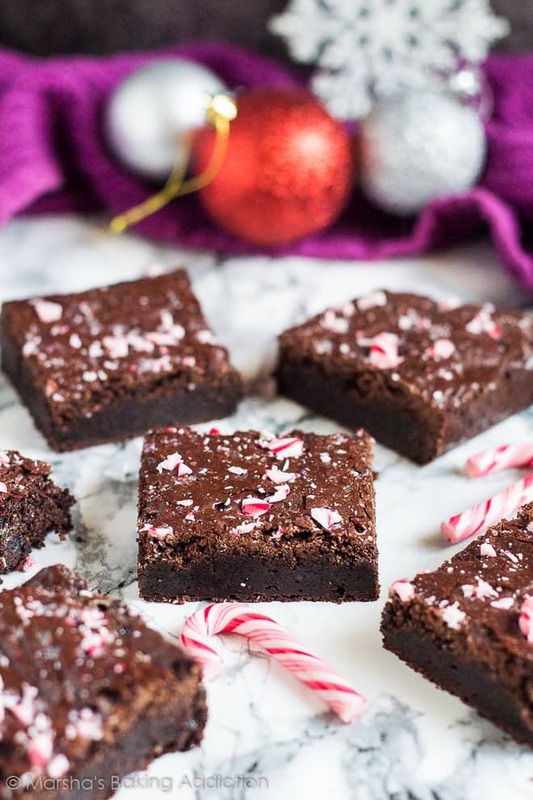 All of the candy cane goodness in these brownies made me want one badly enough, but adding the coffee just makes me crave them that much more. They have everything I like! The flavor combination here is absolutely perfect, these sound amazing, Marsha!